In addition ,from a reader’s comment: “Dominicans are friars, who are not cloistered, but instead tasked with wandering about preaching. They were mendicants, like the Franciscans and Carmelites and others. Friars are not the same as monks. It is an easy mistake to make, one I was guilty of as well until a fellow re-enactor needled me about it. Benedictines: The first Benedictine house was established in 529 AD in Italy by St. Benedict. While many similar houses were established in the next 1000 years, there is no ‘mother house’ in this order, with each community of monks being independent and autonomous. “The Rule of St Benedict requires candidates for reception into a Benedictine community to promise solemnly stability (to remain in the same monastery), conversatio morum (an idiomatic Latin phrase suggesting “conversion of manners”), and obedience (to the superior, because the superior holds the place of Christ in their community). This solemn commitment tends to be referred to as the ‘Benedictine vow'”. http://en.wikipedia.org/wiki/Order_of_Saint_Benedict They are known as the ‘black monks’ for their dark robes. Cistercians: An offshoot of the Benedictines, “the Cistercian order came about through the actions of a group of break-away monks who left their monastery of Molesme in Burgundy, in order to try to adhere more strictly to the Rule of St Benedict. In 1098, they acquired a portion of land at Citeaux and founded what was to be the motherhouse of the Cistercian Order. By 1118, the monastery at Citeaux was well enough established to send out monks to create other Cistercian monasteries, and what was to be a Europe-wide spread began. 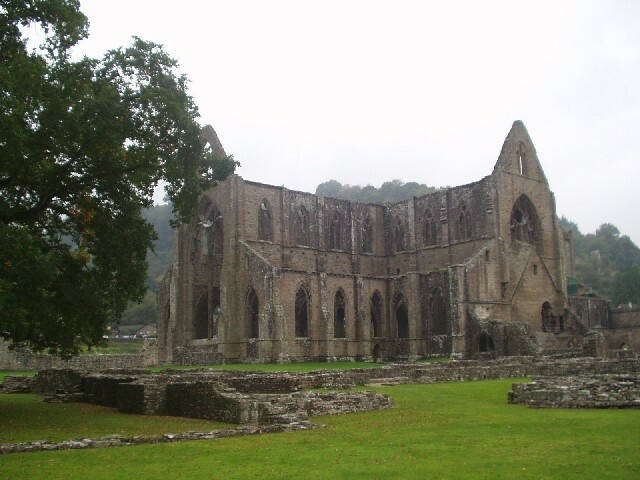 Eventually, the Cistercians would have more than 700 religious houses throughout Europe. Tintern Abbey in Wales (see video above) was the first Cistercian house established in Wales. It was part of the first wave of Cistercian houses, supported by the Normans. The second wave, which included Strata Florida (http://www.sarahwoodbury.com/?p=4863) and Valle Crucis (http://www.sarahwoodbury.com/?p=4810), were supported by the native Welsh princes and the abbeys, in turn, supported them in their struggle against the Norman conquerors. A correction – Dominicans are friars, who are not cloistered, but instead tasked with wandering about preaching. They were mendicants, like the Franciscans and Carmelites and others. Friars are not the same as monks. It is an easy mistake to make, one I was guilty of as well until a fellow re-enactor needled me about it. Thanks for the information. I didn’t know that! I’ll make a note. Thanks for all your videos of Wales, I have enjoyed following your progress around the area, and your posts have been, as always, interesting and informative. The videos really bring out your enthusiasm and knowlegde for a fascinating era of history. My interest in Welsh history relates to maybe an earlier period than yours, however although I know most of the sites you have visited and your reports have inspired me to go out and revisit many look up a few others. Strata Florida I have always wanted to visit but have never quite got around to it yet, whilst Bwlch y Ddeufaen, although I’ve walked quite often around that area, I knew very little about. I really hope to be heading off towards both before long. I was hoping your husband shares your passion with Wales, you set him a good, tough itinerary, he seems to have done a lot of driving, and his cinematography was excellent 🙂 Clearly the weather conditions in the later videos shows the area for what it really is – cagoules are much more normal than tee shirts for exploring these ruins, and it adds authentic atmosphere to the locations, can you imagine living in some of those locations, you have to feel sorry for Llywelyn at times. I hope these films bring to life the settings and the history of these turbulent and interesting times for your readers, and that you get a chance to visit again soon.